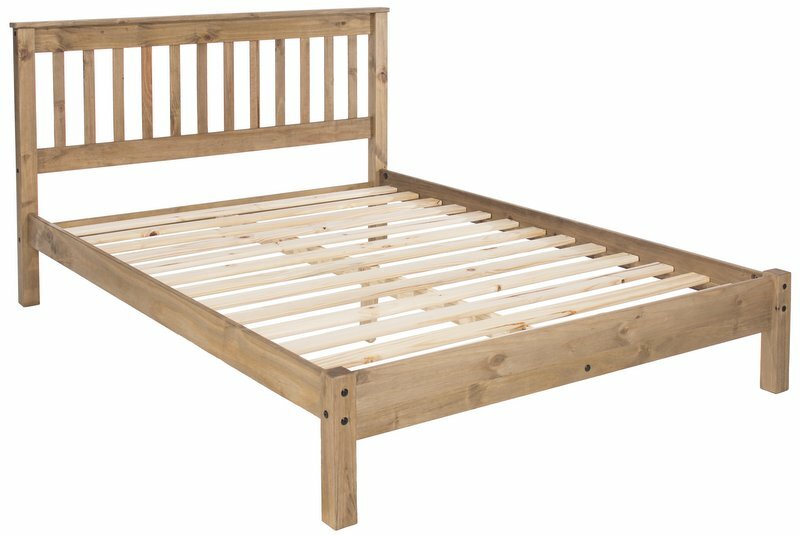 Warm rustic pine bed frame with a hard-wearing wax effect lacquer finish. Simple design fits in with any bedroom decor. 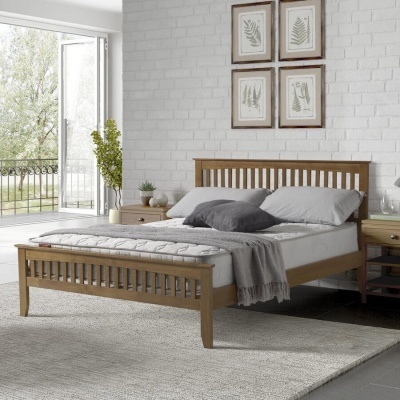 The low foot end and slatted headboard are great for helping to create a sense of space in your bedroom. 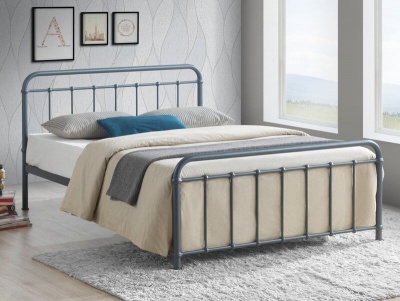 Fits a standard UK double mattress. Browse our range here. Matches with pieces from the Corona pine bedroom furniture range. Flat packed for home assembly, full easy to follow instructions included.